With the final touches in place for the Activision/Blizzard merger, Activision has announced its intent to prioritize development for the Nintendo Wii. The company has dubbed its new initiative "Wee 1st" and plans to tap into the large ownership base with casual games. "The Wii is introducing new audiences to gaming," Activision Publishing's Dave Oxford observed, as has the rest of the industry. 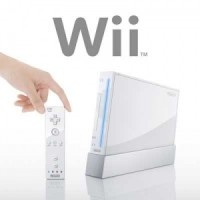 "Clearly, the Wii's accessible controls are changing how the audience plays games and how we look at game design. This initiative is designed to showcase games that take full advantage of the Wii's capabilities." To that end, instead of trying to port existing games with watered-down graphics or tweaked controls, Activision is developing new titles. Little League World Series, a fishing game, an a tie-in with the TV show Dancing with the Stars are all slated for fourth quarter release. Activision's announcement illustrates that it is not keen to cede the potentially lucrative arena to EA, which has announced its own intentions to target the Wii market with casual sports games and a customized Sims offering. "In other news, Nintendo's market share has grown 50 billion percent and are reportedly interested in buying Japan."